Springboro is an affluent suburb of Cincinnati and Dayton located in Warren and Montgomery counties. As of the 2010 census, the city had a population of 17,409. Currently the Warren County portion of Springboro is considered to be part of the Cincinnati–Middletown Metropolitan Statistical Area, and the Montgomery County portion is part of the Dayton Metropolitan Statistical Area. 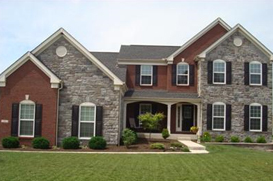 In 2009, Springboro was ranked the 41st best place to live in America by Money magazine. Located conveniently near Interstate 75, and Interstate 71 makes this an easy choice when a commuting to either Cincinnati or Dayton. Ample amounts of shopping, community events, urban and suburban housing opportunities help make Springboro and easy choice. Springboro was founded in 1815 by Jonathan Wright, as “Springborough.” Jonathan Wright’s father, Joel Wright, was a surveyor who plotted Columbus, Ohio, Dayton, Ohio and Louisville, Kentucky. Rich in history, Springboro was a stop on the Underground Railroad, and played a significant role by providing hiding places for escaping slaves. On October 17, 1999, Springboro was the first city to erect an Ohio Underground Railroad Historic Marker. The school system make up includes 6 Elementary Schools, 1 Intermediate School, 1 Middle School and 1 High School, as well as Warren County Career Center.